designed for nanometer level imaging, 3D measurement and roughness measurement. 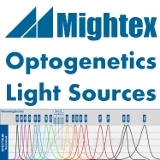 Magnification ranges from 108x - 17,280x satisfy the needs of today's researchers. The FLUOVIEW FV3000 Series is designed to meet some of the most difficult challenges in modern science. 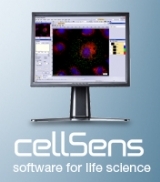 With the high sensitivity and speed required for live cell and tissue imaging and the ease of use and flexibility required for microplate imaging and complex screening protocols, the FV3000 Series supports complete workflows from live cell 2D–6D (x,y,λ,z,t,p) imaging through image processing, like deconvolution, and analysis. The unique FluoView FV10i is a fully automated confocal laser-scanning microscope. The completely re-engineered design of this microscope, integrated into a self-contained package with a variety of functions, enables even inexperienced and first-time users to perform easily and efficient high-quality confocal imaging. Olympus has made no compromises in ergonomics and image quality, using high-quality optical components and smart and easy software.